On a cloudless autumn day, she sits by the side of one of the main pitches at the Lezama training complex, eyes squinting in the bright sunshine. A few yards away, Athletic Club de Bilbao’s first team are nearing the end of their morning session with a game of defence versus attack. Her walking stick propped up beside her, Mariacarmen clutches at the corners of a red-and-white striped flag draped over her legs, watching the action intently. Mariacarmen no longer goes to matches, so the opportunity to watch today’s training session is something she greatly appreciates. “To me, it’s like going to watch my boyfriend," she smiles. On the far side of the pitch, a group of excited school children are also watching their heroes. All have been invited to attend the training session by the club, as is tradition every Wednesday. It’s a small gesture, but an example of the deep-rooted connection Athletic have with their fans and the local community. 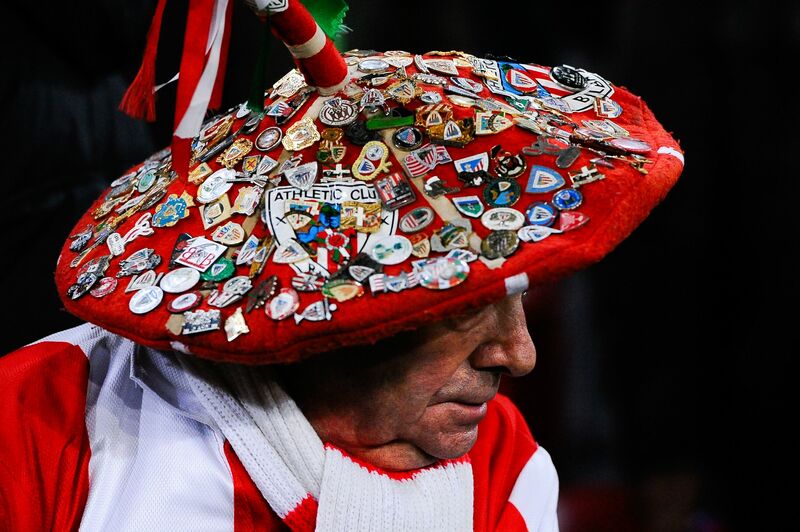 Bilbao, as Mariacarmen says, is a city very much obsessed with its football club. Walk into any bar or restaurant and you are certain to see some form of reference to Athletic - be it a scarf pinned to a wall or a faded framed photograph of the club’s famous title celebrations in 1984. Like all Bilbaoans, Athletic are fiercely proud of their Basque heritage. This is best demonstrated by the club’s Cantera policy of fielding teams made up entirely of players who were either born or learned to play football in the Basque Country - the largely autonomous region on northern Spain’s Atlantic coastline. As football has become increasingly globalised, Athletic have resisted abandoning this century-old approach. Although the policy has arguably hindered Athletic’s success in recent decades, incredibly they have still never been relegated from Spain’s top division. Real Madrid and Barcelona are the only other clubs to avoid the drop from the top flight. 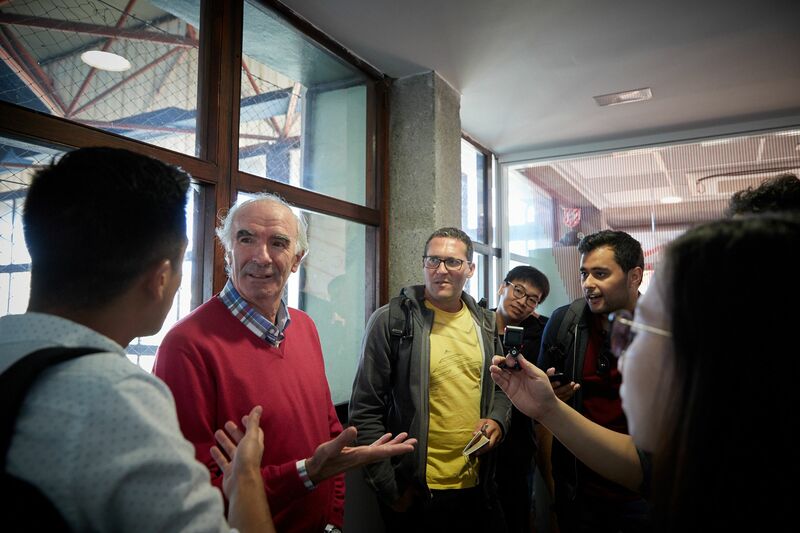 As Iríbar suggests, it has also strengthened Athletic&apos;s bond with its fans, contributing to the enthusiastic support the club draws on from across the Basque region, not just Bilbao. For a club with both a staunch refusal to break from tradition, and a dedicated and passionate local fan base, the decision to leave their original San Mamés stadium in 2013 was far from simple. The ground stood a short walk from the banks of the Nervión river, downstream from Bilbao’s centre, and took its name from the church situated close by. Locals would later refer to it as La Catedral, initially to distinguish it from the church. Over time it seemed an apt way to describe a stadium many regarded as being akin to a place of worship, and so the nickname stuck. Despite such affection towards the old ground, it was clear around the turn of the century that the years had taken their toll. In 2004, the first plans were drawn up for a new stadium. 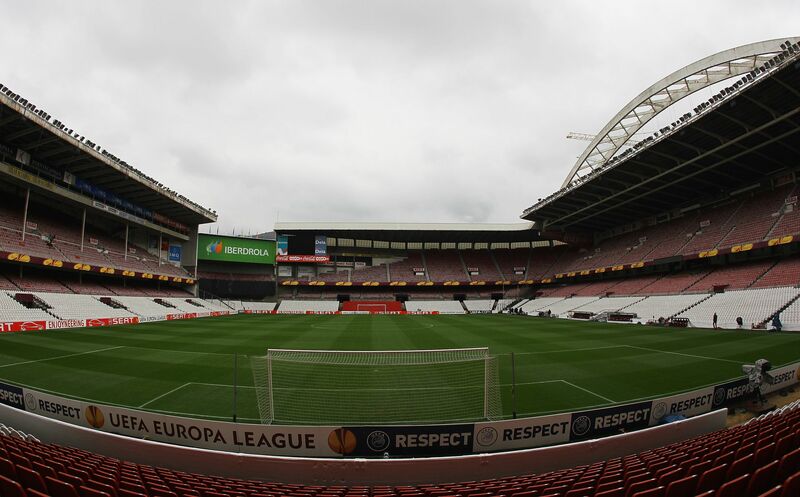 After nearly a century at La Catedral, it was decided Athletic needed a new home. When it came to choosing a site for their new stadium, Athletic - at least in theory - had options. The most lucrative would have seen them relocate to a piece of land on Bilbao’s outskirts. 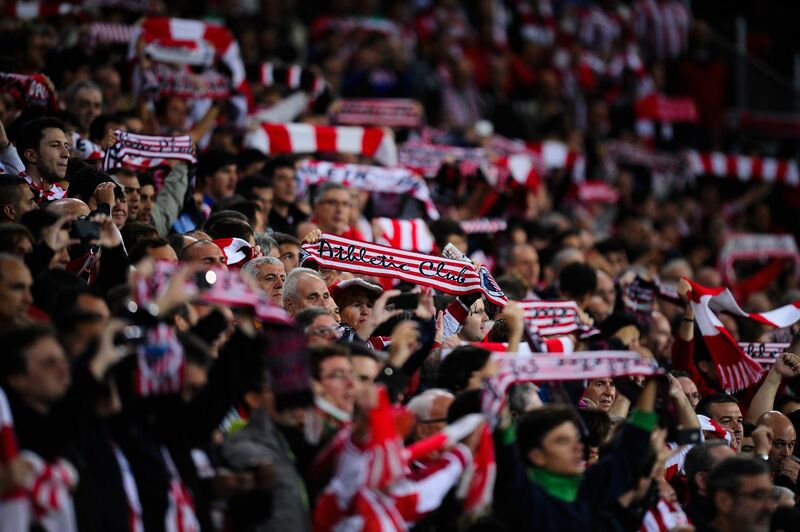 In reality, though, the structure of the club meant that this wasn’t viable at all: Athletic are run on a socio model, meaning tens of thousands of members (‘socios’) elect a president and in doing so have a say on key club decisions. 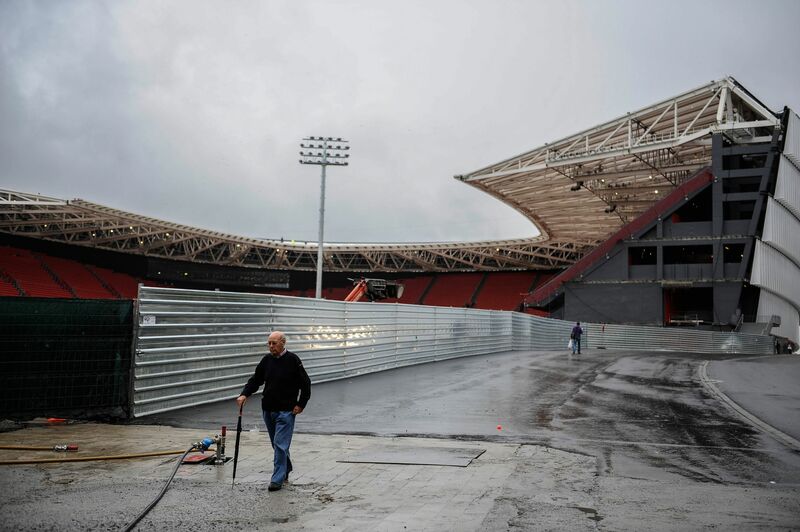 With so many socios living in Bilbao - some running businesses which benefited from the matchday spend of fellow fans - it was immediately clear that Athletic’s new home would not be constructed anywhere but within the city limits. "We always keep the community and fans&apos; interests first,” explains stadium manager, Borja Gonzalez Bilbao. "We do this even if it means taking a hit commercially. "When the new stadium was in the planning stages, we could have moved outside the city. This would have given us a huge financial boost as fans travelling to matches would have to eat or drink at establishments controlled by us. "But we chose to set up the new stadium in the heart of the city so that local businesses, many of which are owned by socios, still make a profit." And so, after plans were approved in 2006, work began on a new San Mamés - to be constructed partly on the same site as its predecessor. 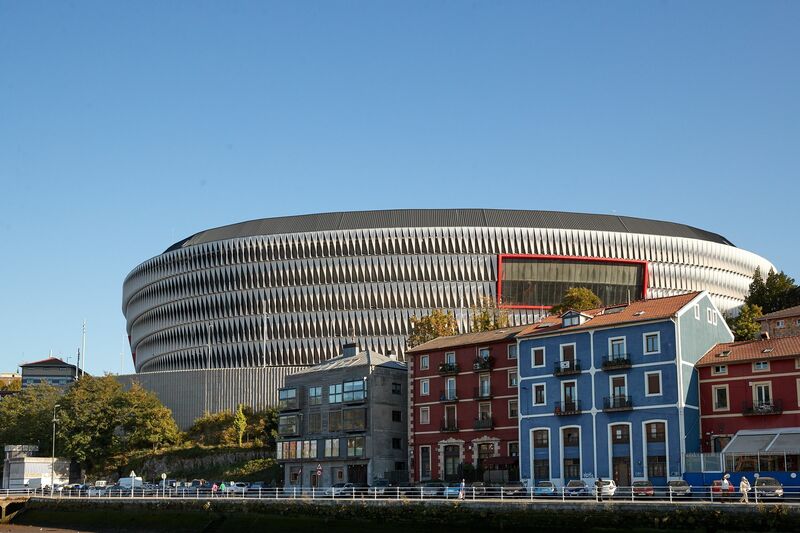 The club contributed around €33m towards its €173m building costs, with Bilbao council, Kutxabank and the Basque government among those who covered the rest of the finances. Athletic played their final game at the old ground at the end of the 2012/13 season, by which stage three sides of the new San Mamés had been built around it. That summer, the old stadium was demolished, with the construction on the fourth and last of the new stands starting immediately. 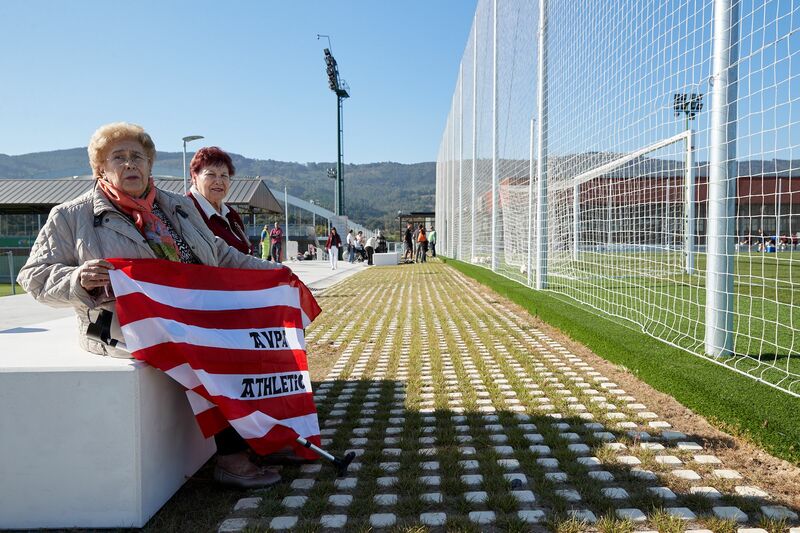 As this work continued, Athletic played all but one of their 2013/14 home games in their new, partially completed Catedral - the open end of the ground screened by a large corrugated iron fence. 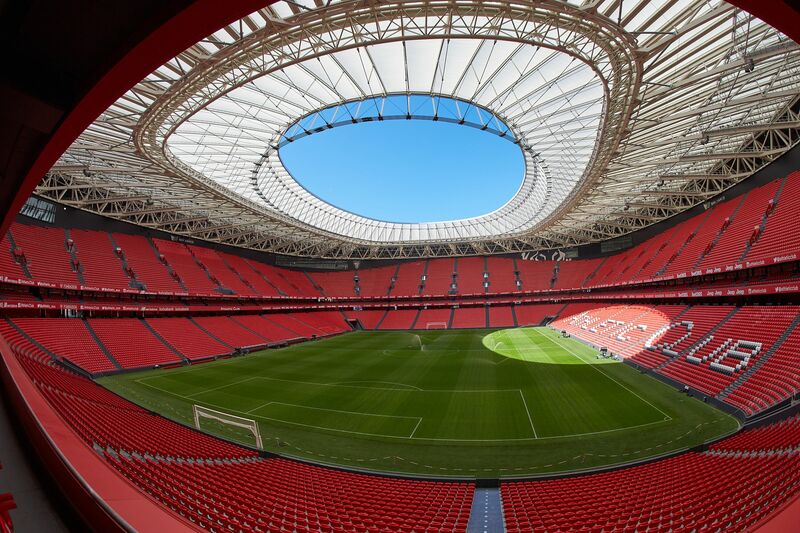 Four years on, the new San Mamés is complete. 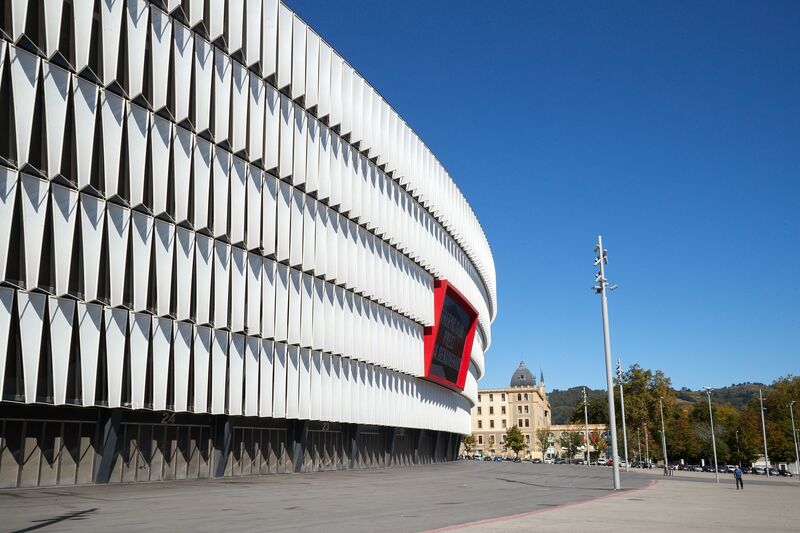 From the outside, hundreds - if not thousands - of white triangular panels make up its eye-catching exterior shell, each one of them glowing red on match days. The inside is just as impressive: over 50,000 seats, nearly all of them red, split into two tiers and segregated by a narrow band of hospitality seating, similar to Wembley or Arsenal&apos;s Emirates Stadium. 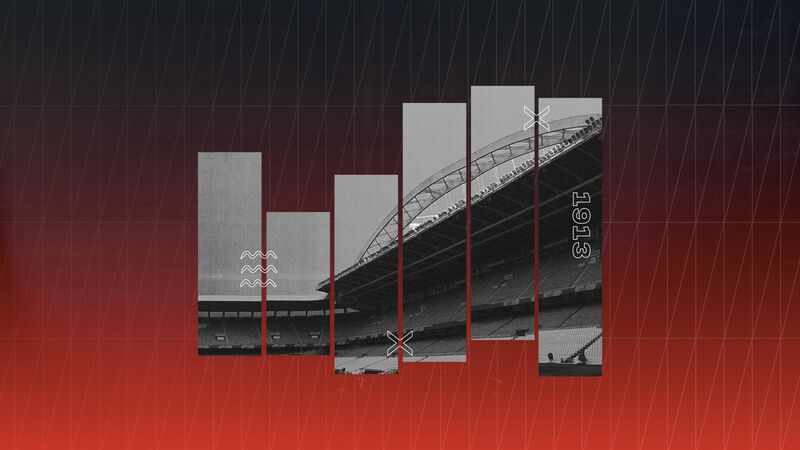 On top rests a large roof, extended a couple of years after the stadium’s completion to help shield fans from sirimiri, the infamous Basque Country rainfall. 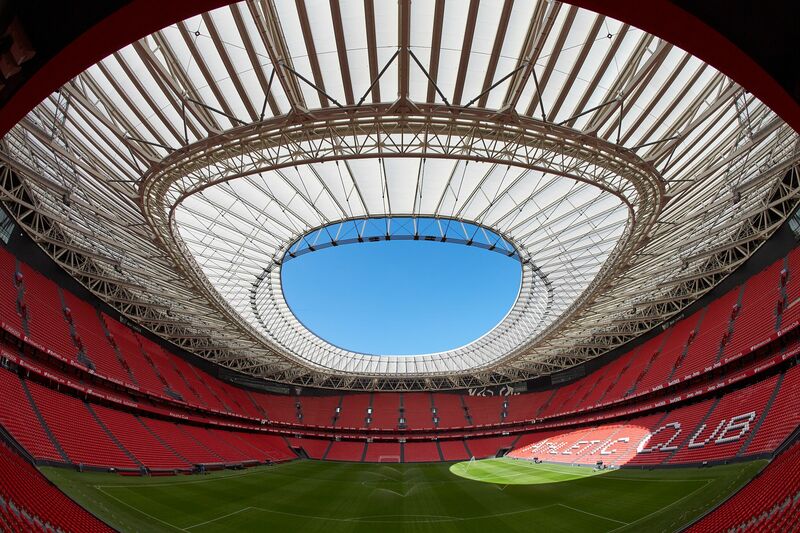 Clearly, Athletic now have a home that is every inch the modern-day football stadium, yet somehow it still feels far removed from the world of big-money sponsorship deals with Emirati airlines or Chinese gambling companies. 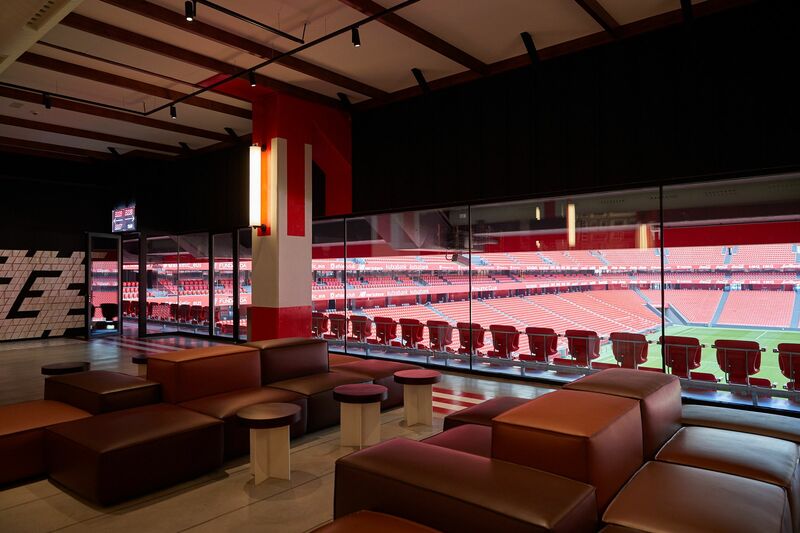 This San Mamés, as with the one it replaced, still belongs to the supporters and to Bilbao - to the extent that even the food served in those glitzy middle-tier hospitality suites is provided by local restaurants and suppliers. Athletic are unique. There is no other club, at least not in Europe, that are comparable in terms of ethos and the relationship they have with their fanbase. Through the weary eyes of someone accustomed to the increasingly commercialised Premier League, it is difficult to look at it all and not feel a sense that this is how football should be. Watch a game there and you’ll see that San Mamés is the beating heart of the city. The surroundings may have changed, but the fevered atmosphere remains on the banks of the Nervión. The arch that once rested on top of the old stadium’s main stand has a new home. After it was dismantled, it was transported piece by piece to Lezama, where it was reassembled at the side of one of the youth team training pitches. 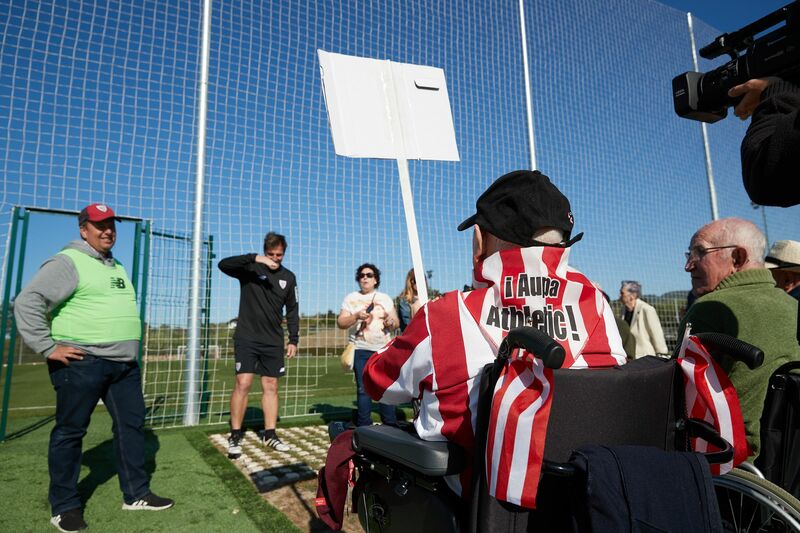 It serves as a constant reminder to Athletic’s youngsters of an important chapter in the club’s past. "I was worried about the changes,” says Mariacarmen as she briefly glances at the relic. 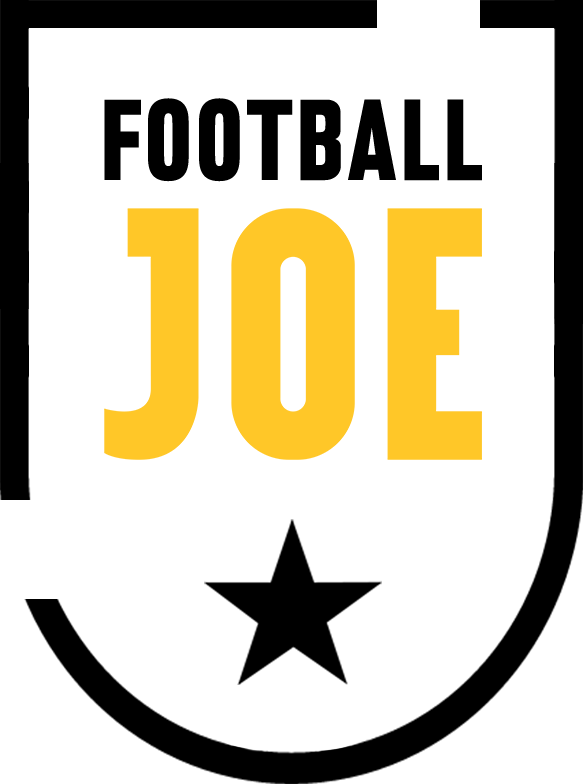 “We all were. But the new stadium is fantastic. The team is ours, it&apos;s part of us. And so is San Mamés."